You’ve invested into a great air purifier. It’s been running for about 6 months continuously – or has it been a year already? Filters need to be cleaned in order for them to retain their effectiveness. True HEPA filters need to be replaced at some point. So do carbon pre-filters and the other filtration items an air purifier might have. Here’s everything you need to know about air purifier filter replacement. When Do I Need to Service My Air Purifier? 3-6 months. Check your air filter if it is a “HEPA-Type” filter for cleaning. Carbon filters will need to be replaced, depending on how often the air purifier has been used. HEPA filters may need replacement in high contaminant areas while running continuously. 12 months. Most HEPA filters will need to be replaced. A second carbon filter or pre-filter change will also be necessary. 18 months. If you haven’t replaced your HEPA filter yet, do it now. A third carbon filter or pre-filter change will also be necessary. Can I Clean My HEPA Filter? No. HEPA filters must be replaced when they become ineffective. You’ll find that the air quality with HEPA filtration will improve as it gets dirtier, but eventually it will completely fail and give you zero benefits until it is replaced. How Will I Know When To Clean or Replace My Filter? Many air purifiers today offer users an indicator light which turns on when the filter has become too contaminated to use. Digital displays might also indicate how long you may have until the filter replacement is necessary. The bottom line is this: if it’s been 12-18 months and you haven’t checked on your filter, then it will need to be replaced. Does My Air Purifier Have a Carbon Filter? If your air purifier is designed to screen out bothersome odors, then it has a carbon filter. These need to be changed more frequently than other filters. For pet owners, every 3 months is a good rule of thumb to follow. In the first months you have these pre-filters operating, you may find that cleaning them every 3-4 weeks may be necessary as they tend to collect a lot of pet fur, hair, and other larger contaminants during those first days. You’ll also want to look very carefully at the manufacturer recommendations in this area. Some brands say that you must clean the pre-filter every month and will show you specifically what must be done to have the filter maintained. You’ll want to follow those instructions to the letter because a failure to do so for some brands may void the warranty. Where Can I Find Replacement Filters? There are generic filters available on the market today for most air purifier brands. When shopping for a replacement filter, it is important to make sure it will work with your specific air purifier model. You’ll need to find your model number and then shop for filters based on what is compatible. Your preferred brand will also sell direct replacements, especially if you are using true HEPA filtration technologies. One of the best ways to shop for replacement filters is to look online on platforms like Amazon. When you shop at your local retail store, there’s a good chance you’ll need to purchase each filter individually. Online listings offer multi-packs of the same filter. Although the initial cost tends to be a little more from an overall perspective, you can often save up to 50% on the per unit retail cost just by having the filters shipped to you. 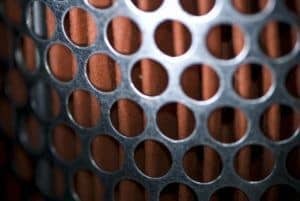 When Can I Clean My Air Purifier Filter? Some air purifiers offer what is called a “pre-filter.” If that filter is made from foam, then it can be washed out with warm, soapy water. You’ll want to check these foam filters every 3-4 weeks if you have them. Always clean them out at the 3-6 month mark if you haven’t already. Permanent filters behind the foam filter may also be removed and cleaned in some models. What Are the Prices of Replacement Filters? Replacement filters can be anywhere from $10 – $300 depending on what your air purifier is designed to do. What Are Some of the Best Replacement Filters? What we love about the Honeywell air filters is that they are designed to provide you with easy maintenance chores. Many of them can be vacuumed out or washed out to provide longer lifespans. True HEPA technologies are available, as are HEPA-Type filters, so you can pick and choose the best option for your needs. Effective pre-filters are also available and they are equally easy to maintain. Below are some of the best filter options from this brand. True HEPA Replacement 2-Pack: Click here to check the price on Amazon and get the best deal. HEPAClean Air Purifier 2-Pack: Click here to check the price on Amazon and get the best deal. Universal Carbon Pre-Filter Replacement: Click here to check the price on Amazon and get the best deal. 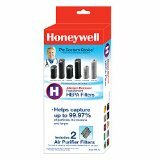 Honeywell 24000 Replacement Filter: Click here to check the price on Amazon and get the best deal. These air purifiers are highly rated to take out some of the smallest contaminants that may be in your indoor air quality. There are table top options available in this category, HEPA filter replacements, and quiet air flow replacements that all work well to get the job done. The one issue with Hunter air purifier filters is that they are often model-specific, so if you are looking to save some money by purchasing a generic version, you must make certain it is specifically compatible with your Hunter product. Here are some the best filter options from this brand. Hunter 30940 Replacement HEPA Filter: Click here to check the price on Amazon and get the best deal. Hunter 30928 Replacement Filter: Click here to check the price on Amazon and get the best deal. Hunter 30936 Replacement Quiet Flo Filter: Click here to check the price on Amazon and get the best deal. These filters are listed as either being HEPA or HEPA-type filters, so you’ve got to shop carefully when you own this brand of air filter. Some models have generic filters that work for them, while others are model specific as well. As an extra benefit, some Holmes air purifiers allow for pre-filters to be installed even if they don’t come as a standard option when you first purchase the unit. Look for multi-packs or subscriptions to save money on the filters in these categories as well. Here are some of your best choices in this category. Holmes AER1 HEPA Type Total Air Filter: Click here to check the price on Amazon and get the best deal. Holmes True HEPA Filter: Click here to check the price on Amazon and get the best deal. Holmes/Arm & Hammer Combo Filters: Click here to check the price on Amazon and get the best deal. When it comes to filter replacement in an air purifier, it’s usually better to be safe than sorry. Use this guide to find the best filters for your needs, save money by purchasing multi-packs, and you’ll be able to enjoy consistent clean breathing whenever you’re spending a day at home.